Lemax Santa's Sleigh Table Accent depicts Father Christmas riding through the snow in his sleigh loaded with presents, whilst a young boy enjoys a ride on his Reindeer! Lemax Santas Sleigh is suitable for placement in and amongst a seasonal Lemax village miniature Christmas scene. A Lemax Village themed collectable piece which joined the Lemax collection in 2015. 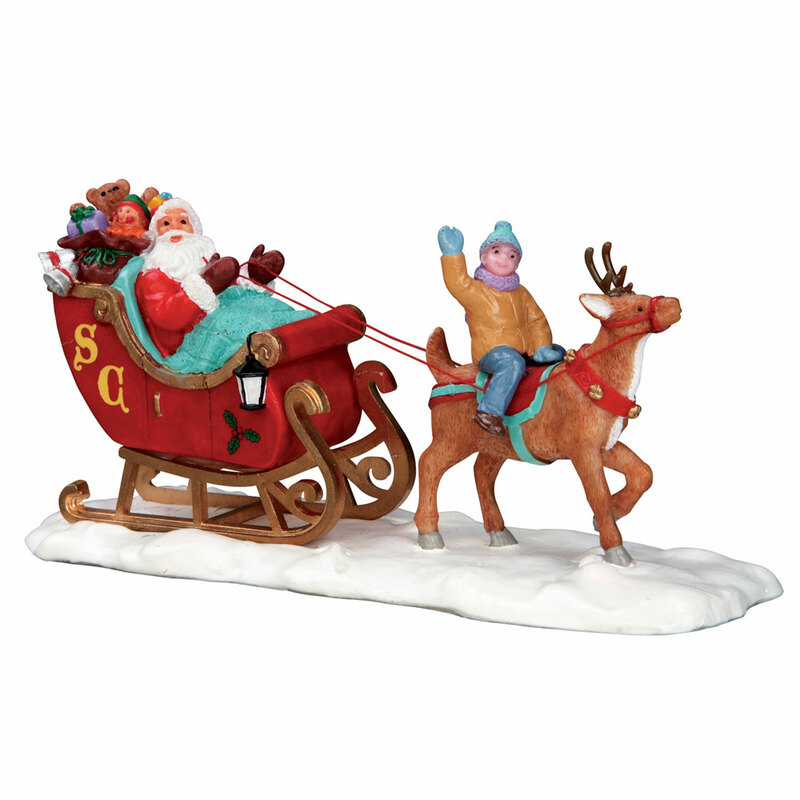 Santas Sleigh is a delightful single hand painted polyresin table piece with multi figurines on a snowed base to compliment your seasonal Lemax Christmas Village.